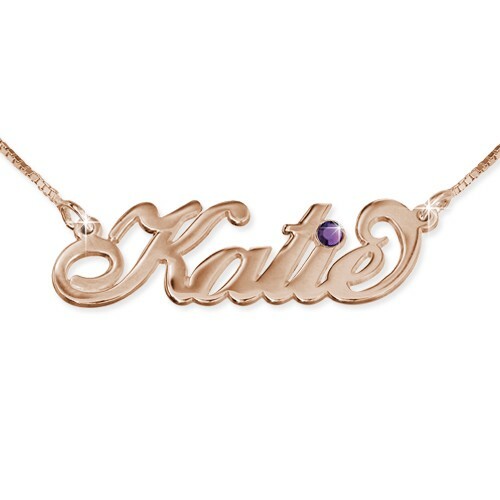 Personalized 18k Rose Gold Over Sterling Silver Swarovski Crystal Hollywood Carrie Style Name Necklace. 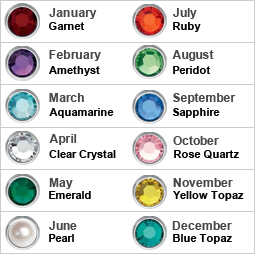 Personalize this Bestseller with your own name and make a statement by adding the Swarovski crystal Birthstone of your choice to it. This necklace is made in 18k Rose Gold Over Sterling Silver (0.925) and supply you with an elegant Box Chain Made in real .925 Sterling Sliver. It is perfect for bridal jewelry, especially as gifts to the bridal party, so don’t miss out on wearing the best in our new collection of necklaces! Made in real 18k Rose Gold Over Sterling Silver 0.925 & Swarovski crystal. This is the perfect gift for any one and for any occasion. Personalized up to 9 letters.